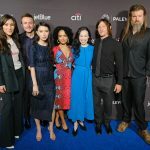 HNS was on the red carpet at PaleyFest this past weekend where we caught up with actors from The Walking Dead. 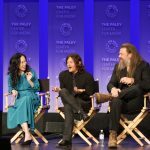 The Walking Dead cast and creators were also part of a panel during the week-long annual PaleyFest. 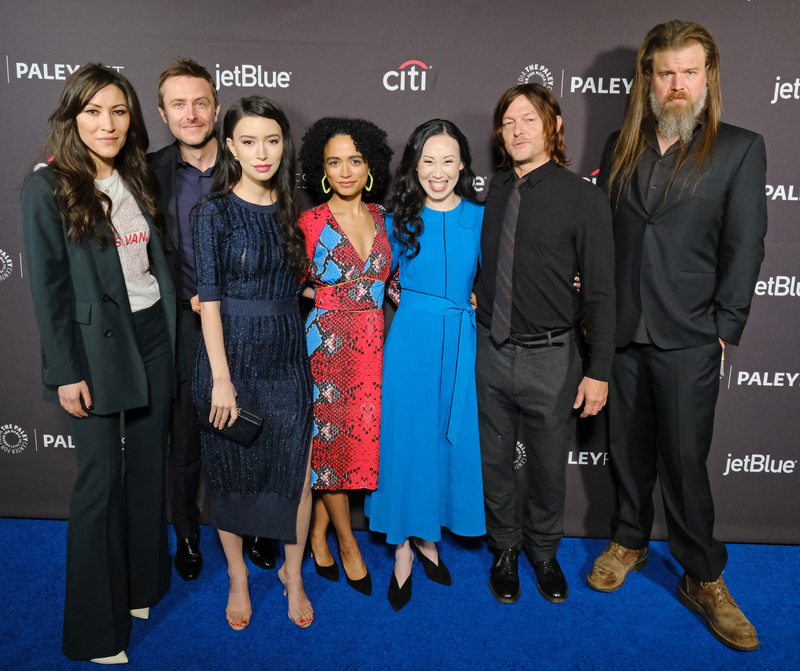 In attendance was Norman Reedus (Daryl Dixon), Ryan Hurst (Beta), Christian Serratos, (Rosita), Eleanor Matsuura, (Yumiko), Lauren Ridloff (Connie), Angela Kang (Executive Producer & Showrunner), and Chris Hardwick (Moderator). 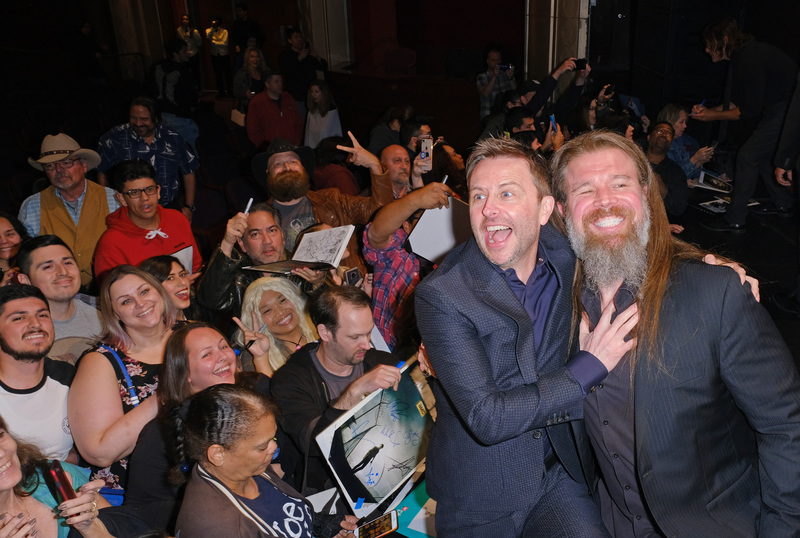 Check out our exclusive interviews below with Ryan Hurst and Lauren Ridloff as well as some photos from the panel, compliments of PaleyFest. All photo credits belong to Michael Bulbenko for The Paley Center for Media. 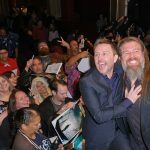 As the Television industry’s premier television festival, PaleyFest presents cutting-edge programs and connects TV fans with the stars of their favorite shows. Produced by The Paley Center for Media, this year’s festival takes place March 15-24, 2019 at the DOLBY Theatre in Hollywood. The celebration features today’s hottest tv shows with a special screening picked for the audience followed by a discussion and audience Q&A with the stars and creators of the series. 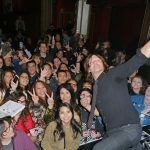 PaleyFest is open to the public and tickets are currently on sale at PaleyFest.org. The Paley Center for Media, a 501(c)(3) nonprofit organization with locations in New York and Los Angeles, leads the discussion about the cultural, creative, and social significance of television, radio, and emerging platforms. Drawing upon its curatorial expertise, an international collection, and close relationships with the leaders of the media community, the Paley Center examines the intersections between media and society. The general public can access the Paley Center’s permanent media collection which contains over 160,000 television and radio programs and advertisements and participate in programs that explore and celebrate the creativity, the innovations, the personalities, and the leaders who are shaping media. Through the global programs of its Media Council and International Council, the Paley Center also serves as a neutral setting where media professionals can engage in discussion and debate about the evolving media landscape. Previously known as The Museum of Television & Radio, the Paley Center was founded in 1975 by William S. Paley, a pioneering innovator in the industry. For more information, please visit paleycenter.org.